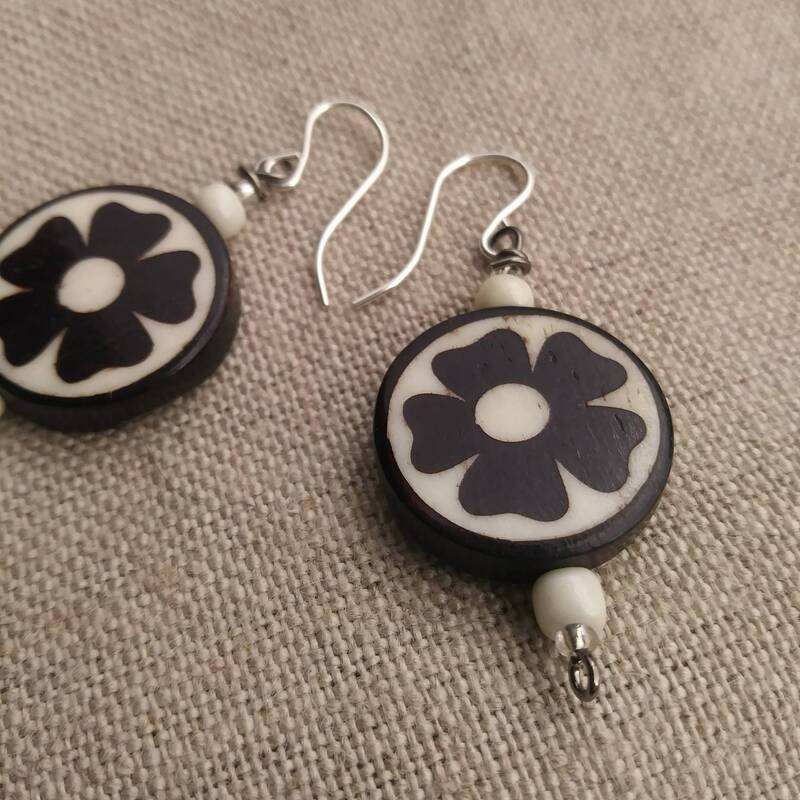 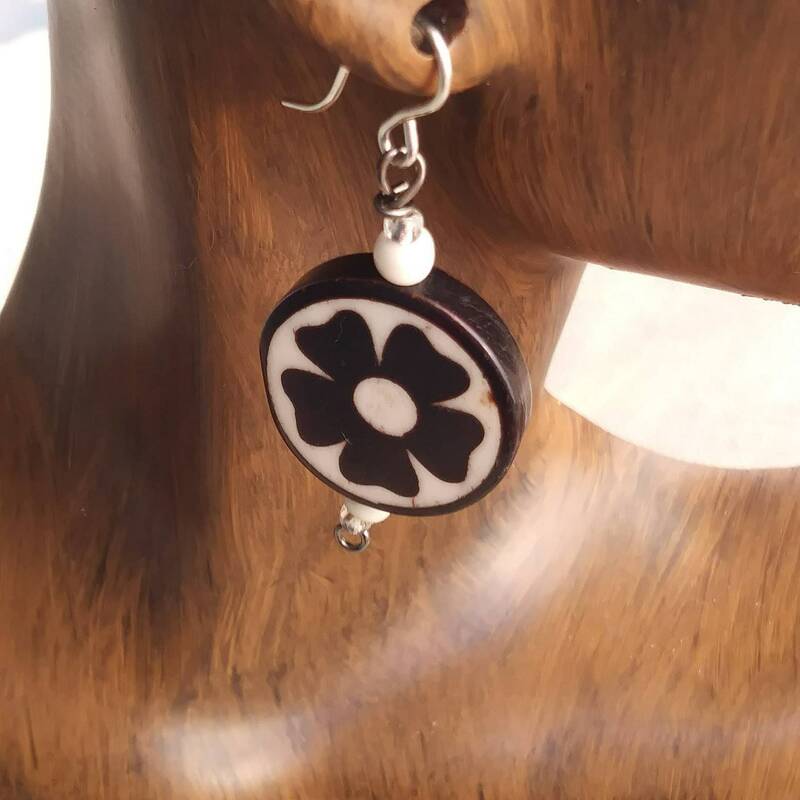 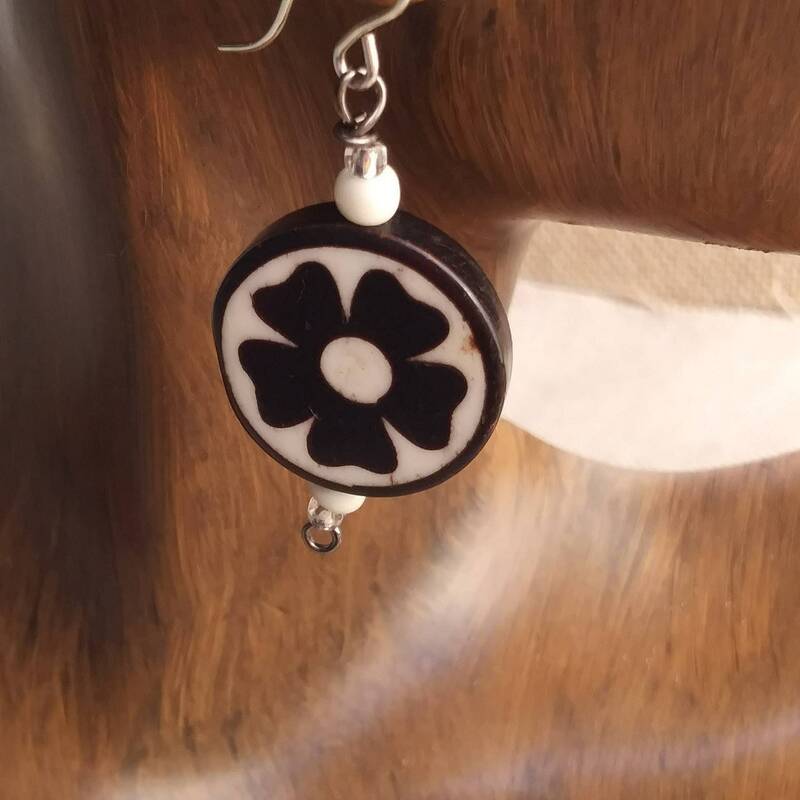 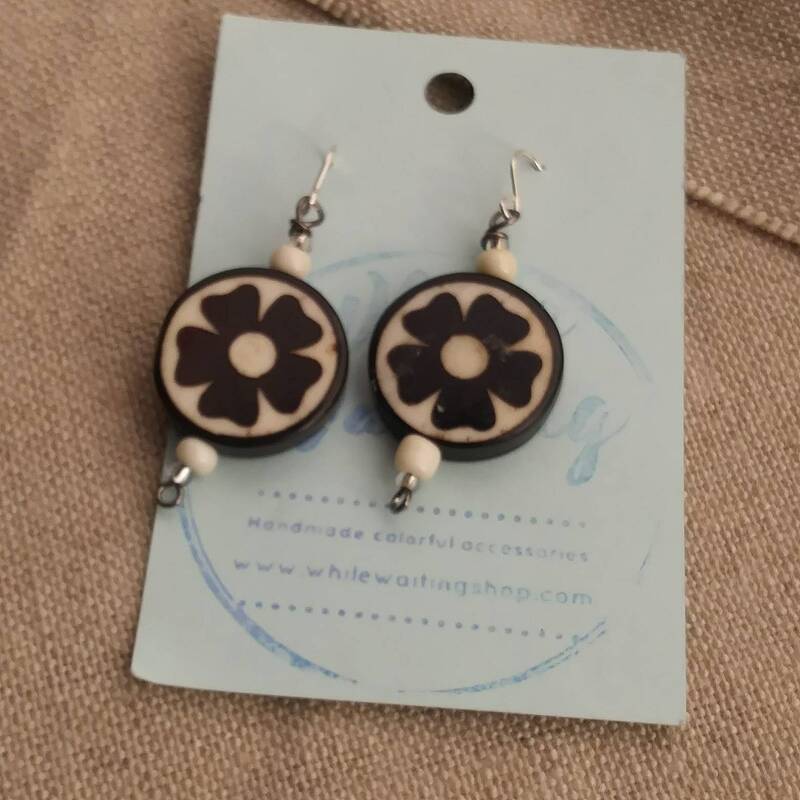 Ebony and ox bone flower earrings with a natural black and white look. 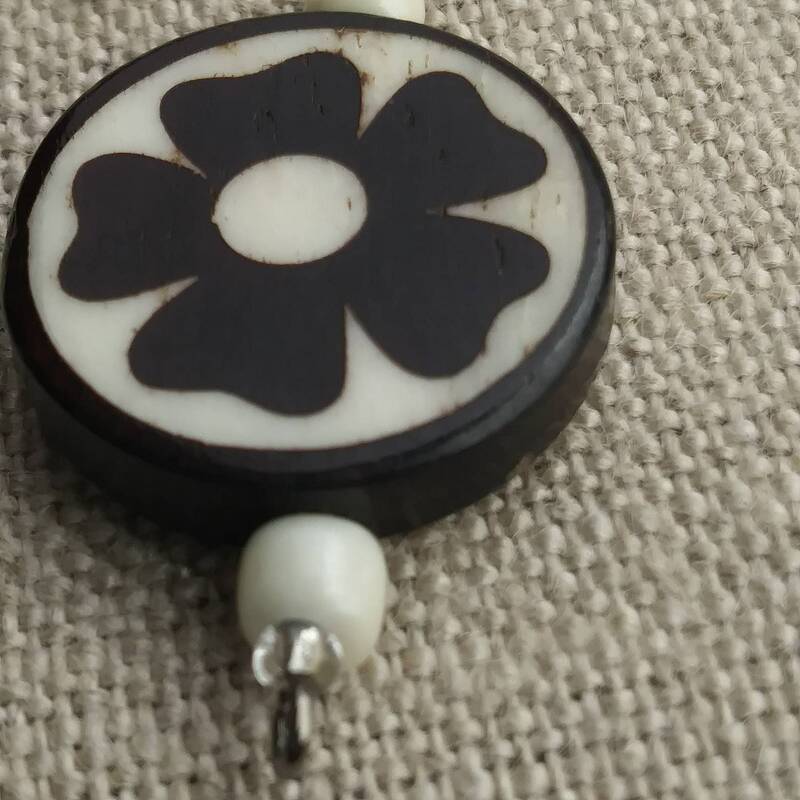 White glass beads complete the focal round flower beads. 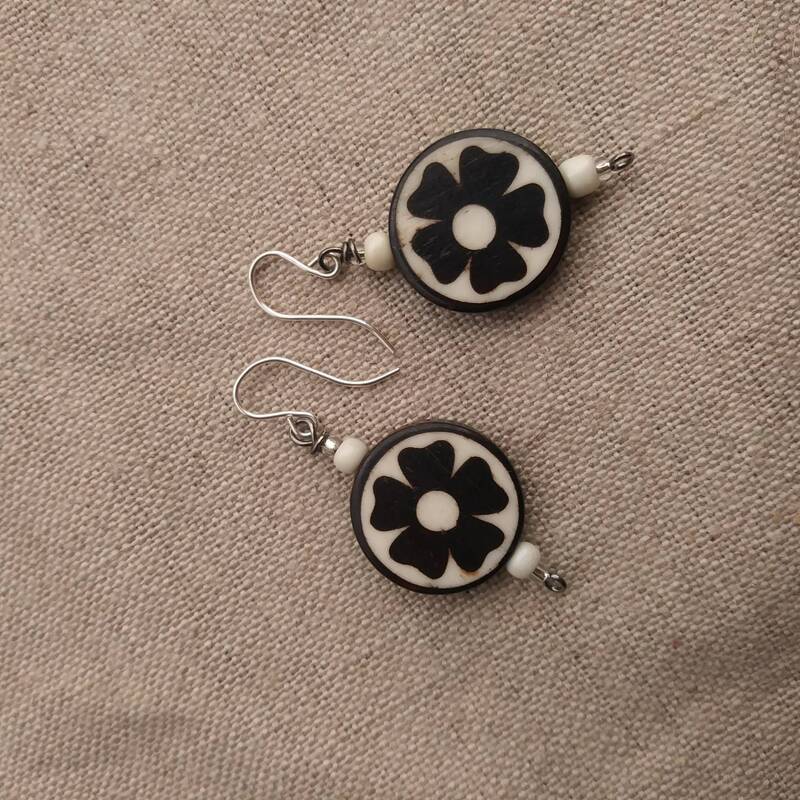 Sterling silver french hooks will make these your "go- to" everyday boho earrings.